The first Love my Salad workshop in Italy was organized on the 4th and 5th April in Bologna. 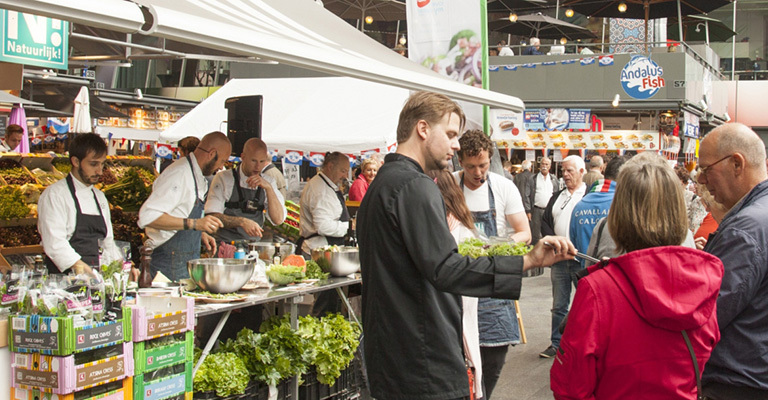 All participants gauged an understanding of the two sides of Love my Salad through the workshop: a transparent and interactive platform for consumers but also an innovative tool for professionals to show the fun, joy and vitality of vegetables. During these two days some practical examples of how to use this tool for developing new ideas were presented, in order to find the best way to connect all users’ categories. The workshop's main topic was the idea of "sharing" and for this a dinner was organised, in which everybody prepared a salad recipe to share with the others, led by the Salotto di Penelope's team. Every participant presented a salad story and everyone voted on the best recipes. The most important results were all ideas on how to prepare and combine vegetables to create new tasty salads. If you are also a restaurant, a chef or simply passionate about good healthy food, please join the community of Salad Lovers, creating a profile and sharing your experience or contacting us here.